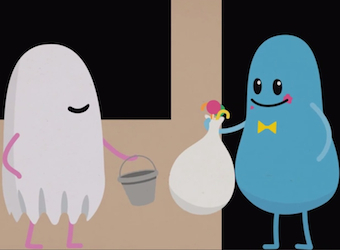 ‘Dumb Ways to Die’ is back with a Halloween video campaign that serves as an amusing warning to trick-or-treating kids and includes even less mention of train safety than its original award-winner. The choose-your-own adventure Halloween special by McCann Melbourne for Metro Trains starts with an introduction piece, then asks viewers to choose between ‘trick’ or ‘treat’ videos. Unsurprisingly, both storylines finish with disastrous consequences along the ‘Dumb Ways to Die’ theme. It’s the second time the colourful ‘Dumb Ways to Die’ characters have resurfaced this year – the brand celebrated Valentine’s Day by releasing another gruesome special in February. Another Aussie brand to get on board with Halloween is Cadbury, which is turning a residential home in Randwick, Sydney into a Halloween hotspot. 4000 families to visit the home will receive a free box of Cadbury Favourites. 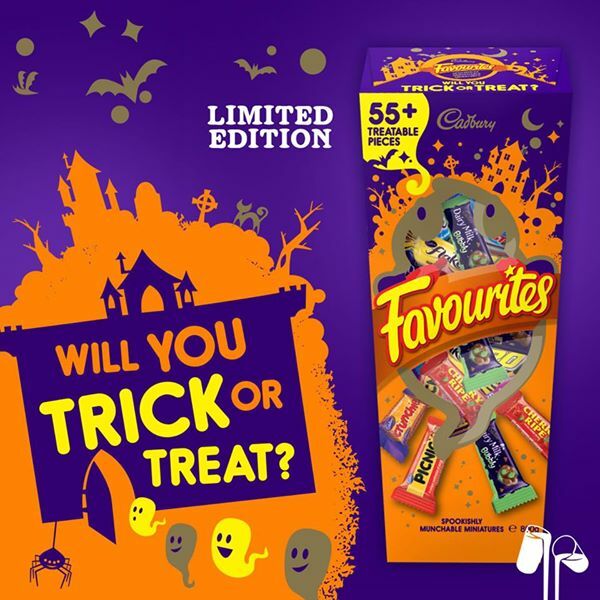 The brand has released a special edition range of larger 800g orange boxes of Favourites exclusively available at Big W.
Cadbury is creating buzz around the event through its Facebook page. 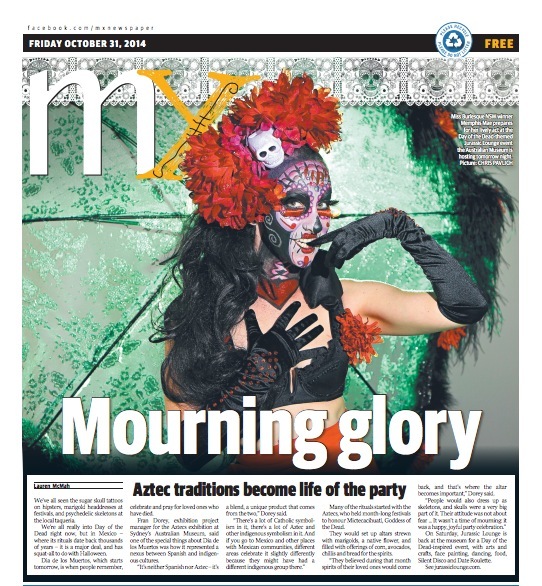 Afternoon newspaper mX is releasing special Day of the Dead issues in Sydney, Melbourne and Brisbane today, featuring tactical advertising from brands including Audi, Herradura tequila, Specsavers and the Department of Premier and Cabinet. The Day of the Dead mX editions will have themed mastheads and its staff handing out papers will be made up with sugar skull faces. TigerAir is holding a four-hour Halloween sale on $13 flights within Australia, valid for next June. Overseas, brands are getting in on the Halloween action and releasing special spooky ads.